Fixmycreditinfo.com – Fix your credit NOW! 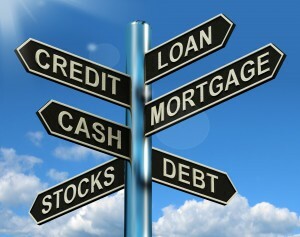 Your source for information to help you manage and maintain your personal credit. This site is designed to provide you multiple sources of information to help you rebuild your personal credit and maintain your credit scores. We have collected information and data from across Canada and the United States which can help you understand many facets of your personal credit. The site works with companies and people from both Canada and the USA to help with understanding your credit and credit score. It is important to understand that with patience, time and some work you can rebuild your credit no matter how damaged it currently is. This information is FREE and we attempt to direct you to places where you can get FREE information to help you build and maintain your personal credit. Not everything is free and if you desire fast response you have options to pay for services and products. Referrals are made to companies and other websites for further study along with some of their products and services. In some cases we do receive compensation for referring consumers to these site. These referral fees and commission are used to help maintain this website. We welcome your comments and suggestions. Please note that all comments are reviewed before being posted to ensure they are not spam or inappropriate to the posts and pages. Secured Canadian Credit Cards to help rebuild your credit.